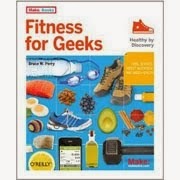 You might be interested in what topics exactly are covered in the upcoming book Fitness For Geeks, so forthwith is a rundown of the table of contents. There is also a Notes section with more than 150 references to science journal articles and books. The yin and yang of life in the Digital Age. Too many of us are living in chairs (including the front seat of your Honda Civic or Ford Explorer), eating processed fake stuff on the run,and eschewing sleep for cable TV and social media. Isn’t our internal software designed for something—Monty Python enter here—completely different? Isn’t there a way we can live in the modern digital world and still feel physically vibrant? Here's a discussion of how to mash up modern life with the evolutionary imperatives of our own internal code – including an interview with one of the pioneers of living primal. Millions of people are now using gear and software to form what I would call cooperative and competitive sports communities. A lot of these tools have been enabled by mobile tech – smartphones and their GPS software. This chapter discusses many of the popular self-tracking apps and gear, including Endomondo, Alpine Replay, Fitocracy, and the FitBit tracker. It all adds up to a positive message – a worldwide movement to use the Web to help promote health, rather than undermine it. This is the first of two heavyweight chapters on nutrition before we turn to the “kicking up your heels” part of existence later in the book. We explore everything you always wanted to know about carbs, fats, and proteins, and then some stuff you probably didn’t, like Rabbit Starvation Syndrome (the joy of living on seal fat) and the effect of fructose on your liver. This chapter looks at everything you always wanted to know about vitamins, minerals, and phytochemicals, including some stuff that might have slipped past the school nurse during those vitamin lectures, such as “antinutrients” and the sorrows of vitamin deficiencies (and how easy it is to avoid them). We interview an expert oon vitamin C and another on antioxidants. Graze farms, not vending machines. Do your wandering through weekly farmer’s markets, find out what a CSA is, and get to know your local farmer (get to know him or her really well). 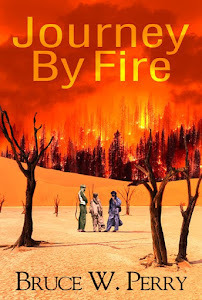 This chapter also offers with some ideas for dealing with food shortages, price increases, and food deserts. This chapter has a nutritional bend, but from a different angle — not eating for intermittent periods and the health benefits of fasting. We talk to a scientist that studies the metabolic effects of fasts, and we discuss numerous variations of fasting protocols and some of the stuff that happens with your body during fasting. This chapter looks at the absolute joy and necessity of being outside (we’re programmed for it), from the point of view of walking, sprinting, hiking, body-weight exercises, running, and skiing. You learn how to do Tabata sprints, a pull-up, and your own resistance-exercise regimen on a remote beach. We talk to a former Boston Marathon winner and a mountaineer. We bring in some of our favorite tools: Endomondo, Google Earth, and Alpine Replay. And hey, I’ll bet you never knew what friluftsliv was! You decide you have join the gym and get strong. Now what? We give you a rundown on the basics of resistance exercise in the gym (yeah, we figure you get the most bang for your buck by aiming to add and retain lean mass). The chapter talks about sets, reps, volume, and “repetition max,” then it jumps into descriptions of about 15 different techniques, including photos and links. We talk to two NFL pro football players about the not-so-casual aspects of getting strong enough to withstand a profession as modern gladiator. Ever written a random( ) method or function in your code? Did you know that randomizing fitness, as in letting an algorithm choose a random exercise for you, might be good for you? We propose a couple of ways that you could do that (the CrossFit world has a “workout of the day” tradition), including the gainfitness.com tool. We also discuss an online tool for determining if an athlete is rested and ready to go, called RestWise. Last, but not least, is the all-important topic of sleep — and this is where you get a look at a nice piece of gear for the power sleepers of the analytic set: the Zeo Sleep Manager. This chapter discusses some of the nuances, such as eating more of everything to add muscle, the magic hour after exercise for chowing, as well as a few supplements you might consider based on the science literature. We interview an MIT scientist about the mTOR pathway, which is the core biochemical sequence, buried just about everywhere in your body, that controls muscle growth.